B&H is offering a 2017 iPad Pro with cellular for $600. The new iPad Pros are impressive, but last year’s model is certainly no slouch. And at least for today, it’s also massively cheaper. 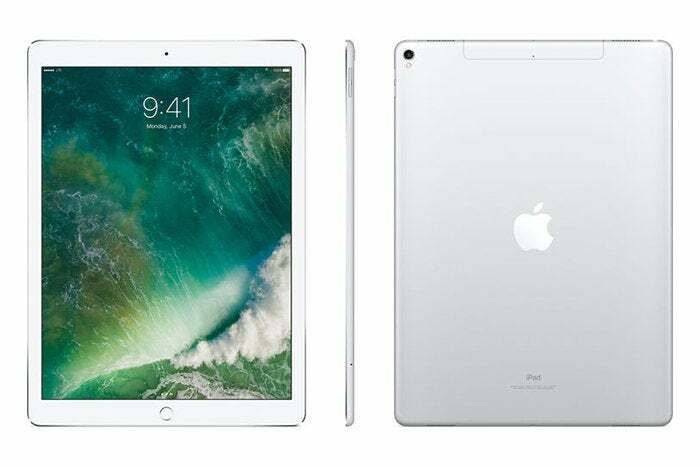 Currently B&H is selling the 2017 64GB 12.9-inch iPad Pro with Wi-Fi and CellularRemove non-product link for a mere $599, which amounts to a whopping $330 off the retail price. That’s also the lowest price we’ve ever seen for an unused model. The next best price I could find for this model is the $730 being offered by Best BuyRemove non-product link, but that requires a two-year contract. If you want to buy it at Best Buy without a contract—as you can at B&H—you’re going to have to fork out the full $929.99. It also supports the first-generation Apple Pencil, which remains a wonderful tool. But I’d call it the deciding factor if you’re waffling between this model and the iPad Pro Apple released last month. As much as I loved writing with the first-generation Apple Pencil, it was always annoying to charge because you had to stick one end in the iPad’s Lighting port. For that matter, you then risked losing the removable cap at the top. When you’re weren’t charging the Pencil, there was no place to stow it. But the new iPad Pro fixes that—although it requires a new Apple Pencil. The new model is magnetic, so you can simply attach it to the side of the tablet when you’re done with it. And boom, it also starts charging wirelessly once it’s attached. Alas, you can’t use that Pencil with the new iPad, but on the upside, both styluses essentially write the same way. Long story short: If you don’t plan on using the Apple Pencil and have a tight budget, you should strongly consider getting this model. It’s a fantastic tablet that’s still amazing a year later, and it runs most apps just as well as the newer one.